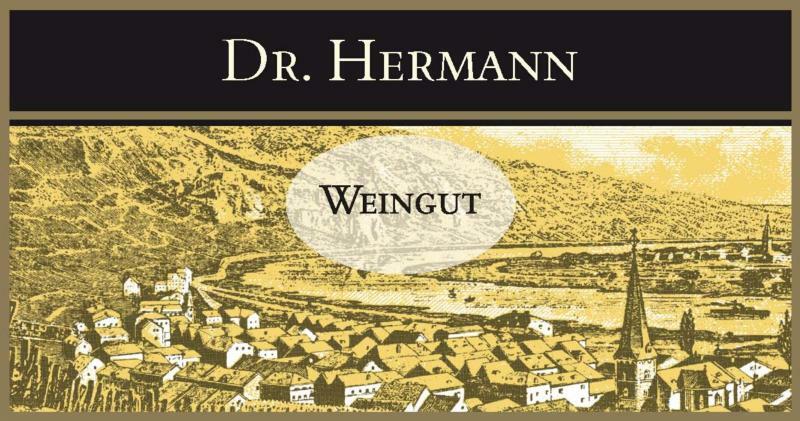 "Dr. Hermann Winery, the Riesling-Estate, is managed by the father and son team of Rudi and Christian Hermann. Their philosophy is that quality starts in the vineyard with restrained pruning, hand harvesting, natural and careful cultivation of vineyard soil. The result is beautiful, elegant wines from some of the most famous vineyard sites in the world. The Hermann's specialize in Riesling grown on steep rock slopes of the famous vineyards of the Erdener Prälat, Erdener Treppchen, and the Ürziger Würzgarten. All of their vineyards grow exclusively on old vines, ungrafted Riesling vines which deliver beautiful, complex Riesling wines." Dr. Hermann is located in Urzig, in the Mosel region of Germany. The estate is managed by the father and son team of Rudi and Christian Hermann who follow a 400 year old family tradition of winemaking. Dr. Hermann was created in 1967 when Joh. Jos. Christoffel was divided for inheritance reasons.